Simone Heller - astray in worlds and words. Dogs come with more loyalty and trust than any single human should be allowed to handle, and thus stories about dogs are prone to enter the bitter space of betrayal, in some way or the other, unless you’re going for a trick ending like Richard Adams’ The Plague Dogs. 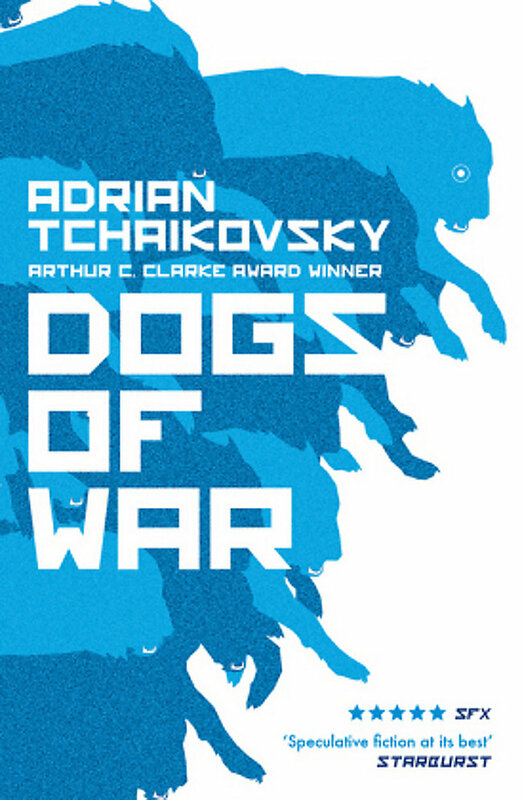 I like stories focusing on animals, I’m up for the occasional well-written military SF, and I’ve enjoyed all of Adrian Tchaikovsky’s novels I read, so Dogs of War was an insta-buy for me. And I knew from the first sentence I’d love it and it would break my heart. 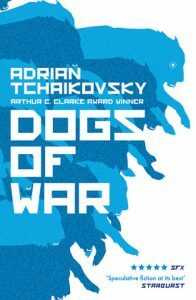 Dogs of War is a near-future sf novel about modified animals used as forces of destruction in asymmetric, engineered wars. They are built to be terrible, alien, horror-inducing. And one of the most heartbreaking moments happens when Rex, the augmented/uplifted canine and central pov character, begins to suspect this. He’s a dog, one nightmare of a dog, full of all the loyalties, limited forms of understanding, and teeth dogs usually come with. Rex has a complicated (or is it, really?) relationship with his ruthless human master, and his journey into a more sophisticated way of thinking echoes Daniel Keyes’ Flowers for Algernon quite a bit. As the story unfolds, it turns out to be a real page-turner, too. 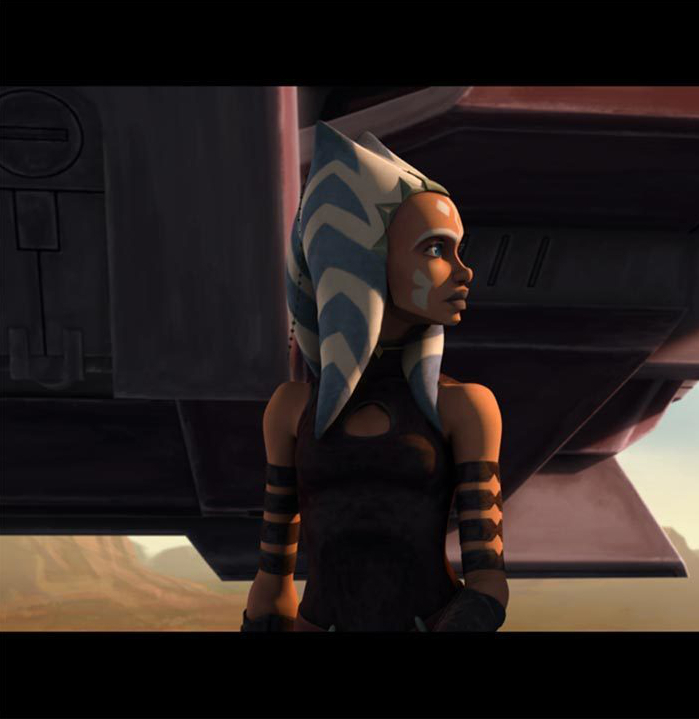 I wanted Rex to succeed in overcoming the simple truths he harbors to shield himself from a world that is far more complicated. And I loved the other animal characters, too – Honey, Dragon, and Bees. Adrian Tchaikovsky does a brilliant job in giving them personality, sometimes with very little material to work with. And his love for anthropods (as seen in his Shadows of the Apt series) is not diminished! 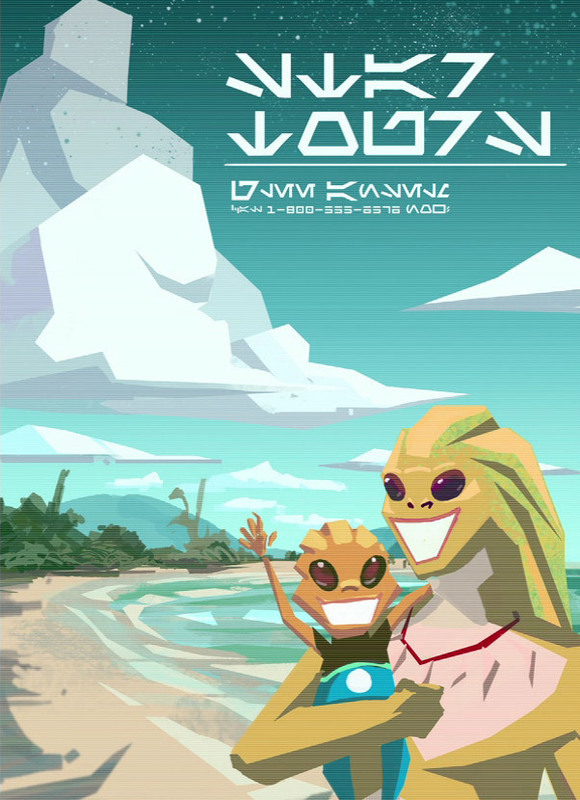 So it’s not all about dogs, and even not all about so-called Bioforms, because Rex’s story is interspersed with different forms of humans and monsters from the beginning. But nothing beats a dog as a stand-in for soldiers and all they have to represent. Dogs of War starts out with military action, but evolves into an observation of a society that has to deal with a new despised worker/soldier class nobody wanted. Humanity’s discomfort in dealing with those creatures they made is understandable to a point that made me want to cringe at my reaction: Adrian Tchaikovsky is not shying away from showing just what a mess, what a horror, these modified animals are, while at the same time letting us peek inside their heads and know their redeeming qualities. This is not just a novel about how we treat animals. It’s about all the monsters of our making, and somehow a dog can be the perfect amalgamation of both. It begins with an ocean. You cross the water, waves nipping at your ankles, salt stinging on your face. You have hopes, but you don’t know it yet: this is a real transition. You leave familiar shores behind, and all certainty about what kind of creature you are, what you are allowed to do, what you are able to achieve. What you thought safe. What you thought sound. Your concerns that this endeavor was maybe just an error, a misapprehension. Now you are here, on a boat. 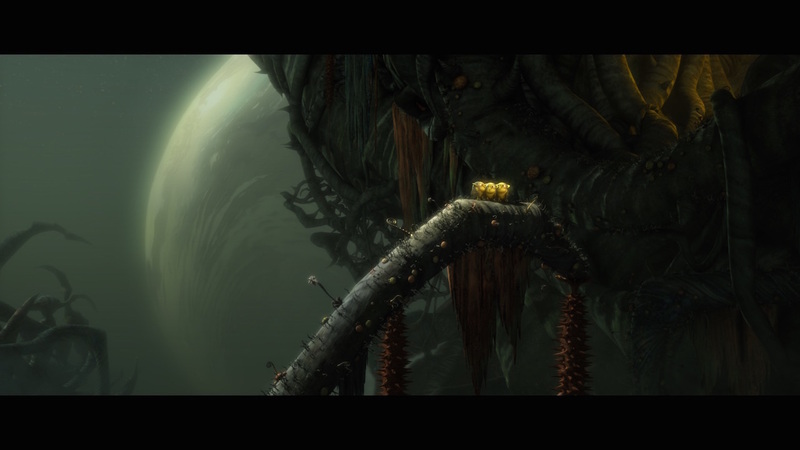 You’re entering new, unexplored terrain. You are welcomed by kind spirits. And while they tell you in no uncertain terms that you are on a quest, that you have challenges before you and obstacles to overcome, they assure you that no harm will befall you in their domain, nor shall you ever go hungry or cold. They care for you, heart and mind and belly, and they provide you with the strength to push on when things get rough. There are giants on the island. You might be nervous about meeting them, a little bit afraid even. Then you discover that what makes them giants is not something that separates you, but something you have in common: a shared passion, a disposition to strive for better words, better tales, a will to explore and learn and marvel. And they want you to grow into a giant, too. You find companions, true soulmates. They are on the same quest, and you’re in this together and get to know and love each other until you can be sure you have each other’s backs. You form a fellowship of the pen, a fellowship of quiet keystrokes, a fellowship of sealed plot holes and salvaged story arcs. You share meals and songs and ideas. Sometimes, you also share the horror, because there are times of plight. But you are given tools to take paths you didn’t risk before. You are encouraged to mold your perception and find new ways to see yourself, your work, and all the stories you encounter. Most of all, you are given a place of acceptance, of companionship, of belonging. You are right where you are supposed to be, and this is a powerful gift. Time behaves strangely on the island. Hours glide languidly into everlong midsummer-like days full of adventure. One night can stretch into an eternity, enough time to get you to the edge of the galaxy and back. But all too soon it will compress and accelerate and rush madly towards the end. Things have to end, to circle back, to move onward, you know this by heart now. You cry, there is no way around that. You leave, eyes swollen, heart full. A multitude of ideas in your head, but they won’t form into something coherent until you are less overwhelmed, less miserable because you have to go. It will take some time for you to discover: part of the island stays with you. 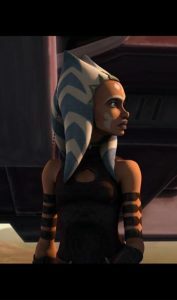 The winds, and the knowledge you’ll smile at them again after all you have mastered. The waves, rocking your old shell off of you to make room for growth, rippling with ongoing change. The hearth fire, telling you you are not alone in this. The jellyfish, glowing in the darkness when you need a spark of inspiration. 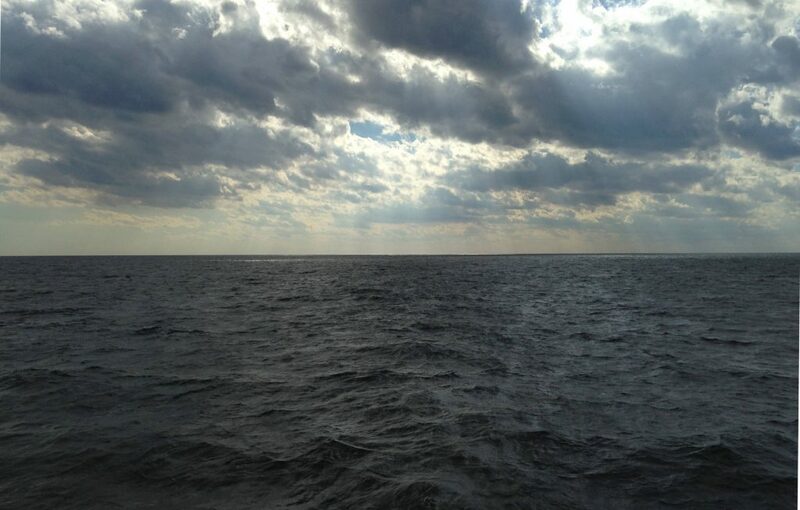 You set out on an ocean of possibilities. This, you know, is a beginning. 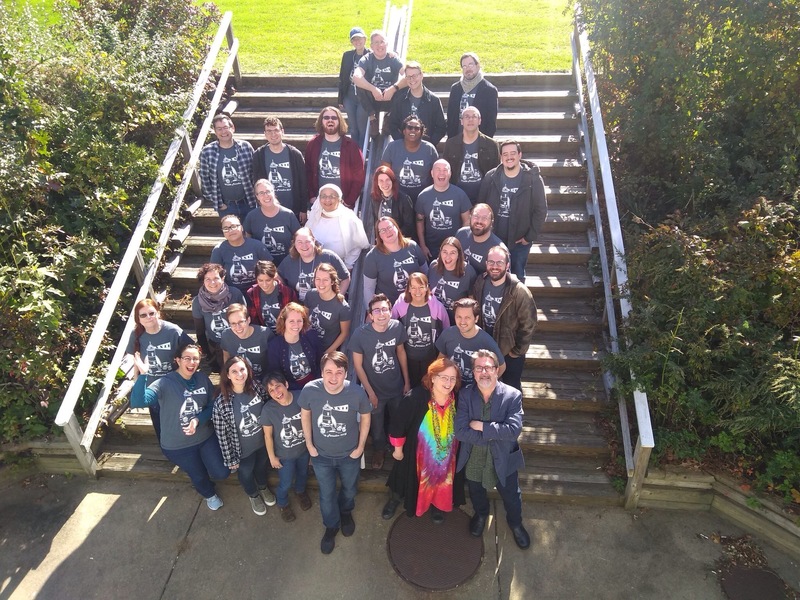 I spent a week on Martha’s Vineyard at the Viable Paradise writing workshop in October, and this might have been one of the best things I ever did. I’ll probably get back to this with a more practical and down-to-earth post at some point in the future. Because if next year’s chosen ones are like me and my classmates, they will google every scrap of information, and they’ll need to know to bring warm socks without holes and such! 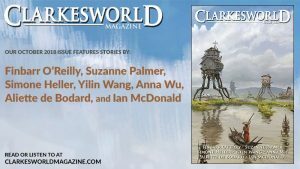 My new novelette When We Were Starless was published in the October issue of Clarkesworld, and I wanted to provide a little bit of trivia and background for readers with an interest in such things. There may be mild spoilers. If you want to read the story first, here it is – you could go chasin’ ghosts among the ruins of a fallen world with Mink right now! It is my second story set in a world I call the Shrouded Earth. 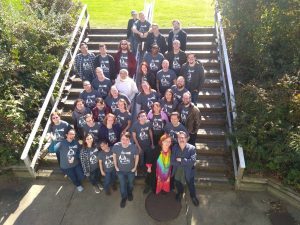 It’s not a direct sequel to How Bees Fly, but they follow a shared trajectory, and WWWS holds some spoilers for things that are revealed in the course of HBF. When We Were Starless had a rough start. I was struggling with what felt like the certain knowledge that my first story had been a fluke, and I wasn’t convinced it would be a good idea to revisit this world. But the image that stuck with me was nomad herders with 3D printer spiders!!! I imagined a trickster story first, about a stranger shaking the tribe up and inducing change, before leaving them again. It took me some time to realize I didn’t want another outcast story. So the only thing I kept was Mink’s ability to change her color. The trickster goddess whom this would have been attributed to (as well as the ability to drop tails) sadly had to go. My main source for research was Vanishing Footprints: Nomadic People Speak by Ann Perry and Anthony Swift (not a perfect book, but it makes an effort to feature the voices of nomadic people). 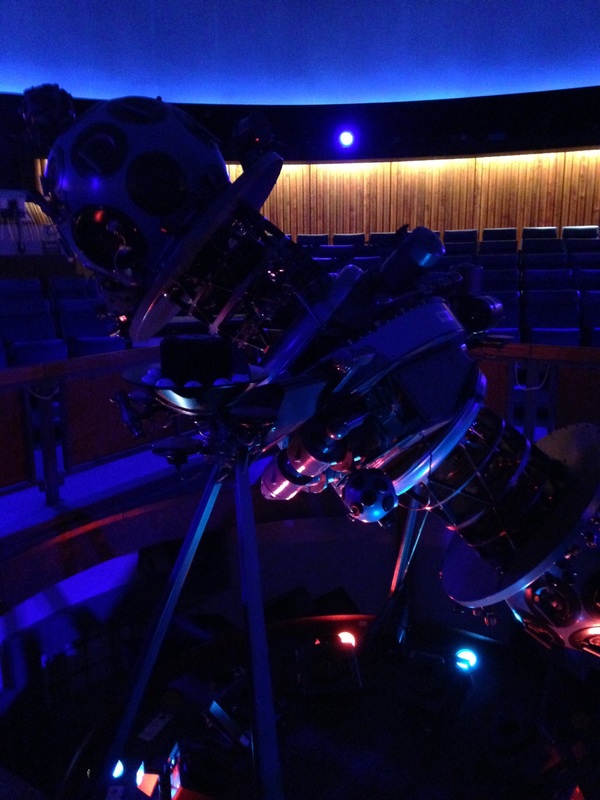 As I figured out the plot, I visited a planetarium (for the first time ever!). Huge parts of the story clicked into place while I was there. 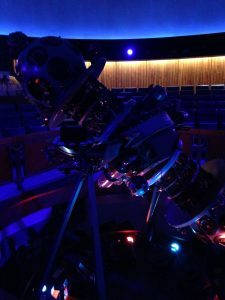 There are some direct inspirations: part of the opening was inspired by the framing narrative of Clifford D. Simak’s City; and when I began to think about the exhibits in the dome, I couldn’t resist the urge to write a happy ending for xkcd’s super sad Mars Rover episode. The music was a happy accident, more or less: I always envisioned Mink’s people as musical, but the strong focus on music snuck into the text almost without me noticing. The moment I found out how it would play into the ending, I knew I could make this story work. I also listened to a lot of music and have my own Paean of Manifest Horizons (more of a Paean of Manifest Finishing Line, because it took me forever to get there …). Last but not least: Many thanks for encouraging me, and your brilliant ideas and editorial help, to Juliana Socher, Maike Claussnitzer, Catherine Brennan, Miriah Hetherington, and Sonia Focke! 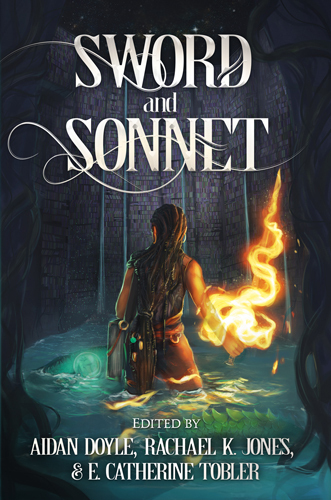 <3 And thank you, Clarkesworld, for publishing me a second time! And thank you, readers, for spending time with my stories! Your comments, shares, and reviews mean the world to me! 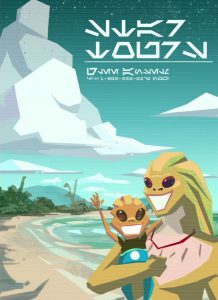 There might be more of what I secretly call lizardpunk coming up at one point, more Shrouded Earth to unveil – or maybe space nomads? Or something else altogether. I’m not decided yet. Gotta go writing now to find out which egg will hatch next (or, you know, at all)! After another few months spent in translator-bot mode, producing daily word-counts I can only dream of as a writer, I have some thoughts about writing and having a day job as a freelancer in the publishing industry at the same time. It seems like a dream situation – to gain a foothold, to learn the business … and when I started this line of work over 10 years ago, it was a dream job. Second best thing to publishing my own stuff. A chance to work with words, with languages and their intricacies, in the genres and with the authors I loved. Translating has always been very close to my heart – it’s a special kind of approach to a text and can be extremely rewarding (for everyone involved, yay!). Some aspects didn’t turn out quite the way I had hoped for, but that’s a different story. A job closely connected to writing is, in some ways, a major boost for writing. I learned a great deal about language and how to construct stories while translating superb novels, and then some more by editing not-so-superb-yet novels. The moment you have to propose a solution when something isn’t good enough, a vague feeling of “I don’t like it” just doesn’t do. You have to get to the root of the problem, and that makes you see what will work and what won’t. So I doubt I’d be able to write the way I do without my job, without being surrounded by professional words and stories daily. My own words inevitably dry up when I am deep in the translating game. I’m surrounded by another person’s story and strive to get into its style, mood, tone. If I try to start writing then, I might end up emulating the thing I’m working on at the moment. Mostly I don’t even try: I simply can’t bring myself to hack out another word on my keyboard after I already spent 6 hours straight doing just that. Braindead. Daily amount of words used up. Instinct for stories vaporized. I’m aware that the majority of writers out there are writing in their free time, and surely there’s no shortage of jobs eating your brain. I’m in awe of everyone who sits down to tell their story anyway. I seem to be at a point where my day job isn’t producing synergies for writing anymore, or even just some (mildly lucrative) background noise; it has turned counterproductive. I guess that’s mostly because I’m working and writing in exactly the same genres. It’s just so close to my own words, and if I want to do it justice, I have to live the to-be-translated text in the same way I have to live my own stories. So my own writing is always relegated to the backburner. 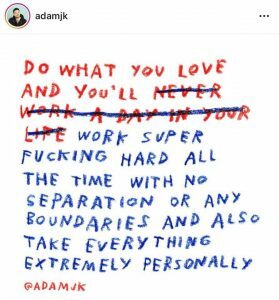 Add in the precarious nature of freelancing, which makes you inclined to always take on another rush job, another project, because there’s no way to know whether and when the next thing might come up. And soon there is no room left for your own stories to unfold. I can relate to every writer who just wants an unobtrusive, not-too-demanding job. What I do now, accompanied by a lot of anxiety, is decline some jobs. And try to shift a certain portion to other modes and genres, mostly non-fiction, to create synergies again. (But who am I kidding here – offer me a cool science fiction or fantasy project, and I’ll bite). 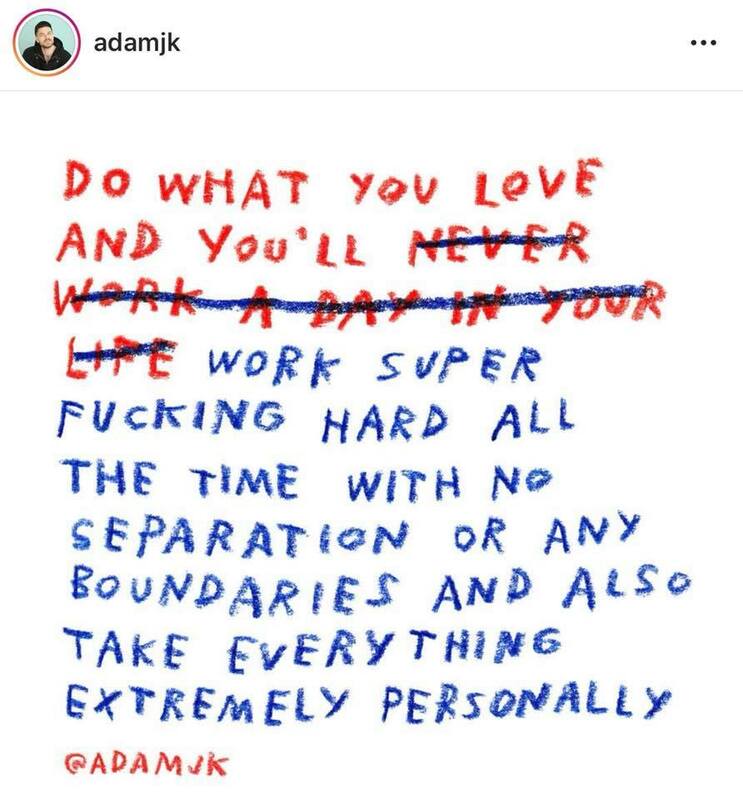 So, fair warning: having a second dream job apart from writing might not be the best strategy for producing a lot of words, especially if said dream job is, well, also writing, just for other people in another language.